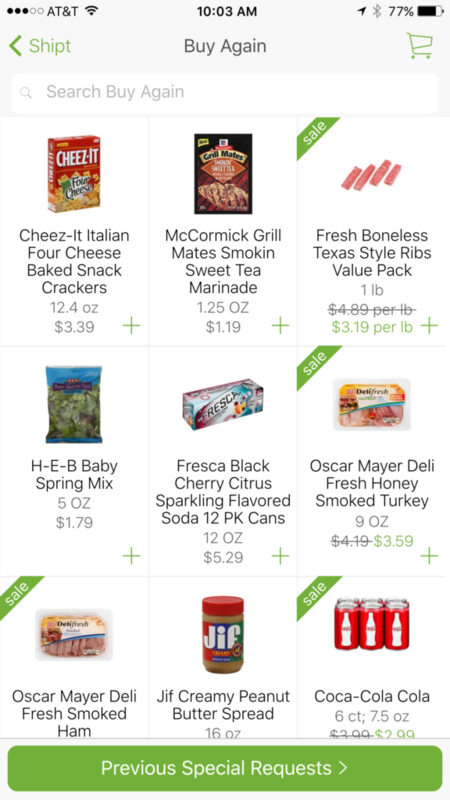 This past weekend, I tried Shipt, the grocery delivery service that just launched in Austin, Texas. They are rapidly expanding across the nation and have some great deals to take advantage of right now. 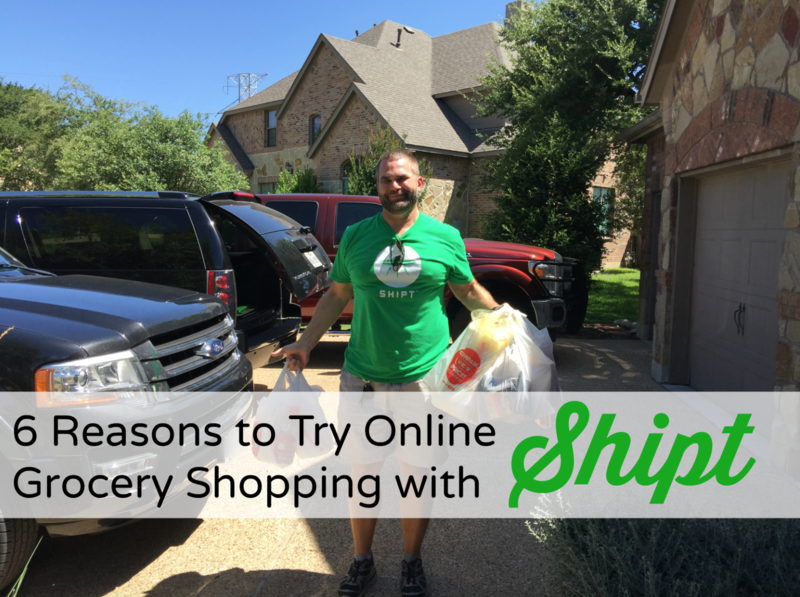 Here is our review of Shipt and 6 reasons why you should shop for groceries online with them. On Saturday, we endured a 15 hour drive home to Texas. After being away for the last 3 weeks, I faced an empty fridge and pantry. But the thought of having to do a big grocery shop after that long drive made me want to curl up in a ball chanting No…No….NO! You see, over the past few years, grocery shopping has become the chore I loathe. I can’t exactly explain it, but I REALLY dislike the whole process. The menu & list making, the crowded parking lot at my always-busy grocery store, the constant ping-ponging thought out the store as I go back & forth forgetting items, and then my least favorite….unpacking the groceries. I seriously would rather clean toilets. The drive home on Saturday was the perfect time to try out the new grocery delivery service, Shipt. 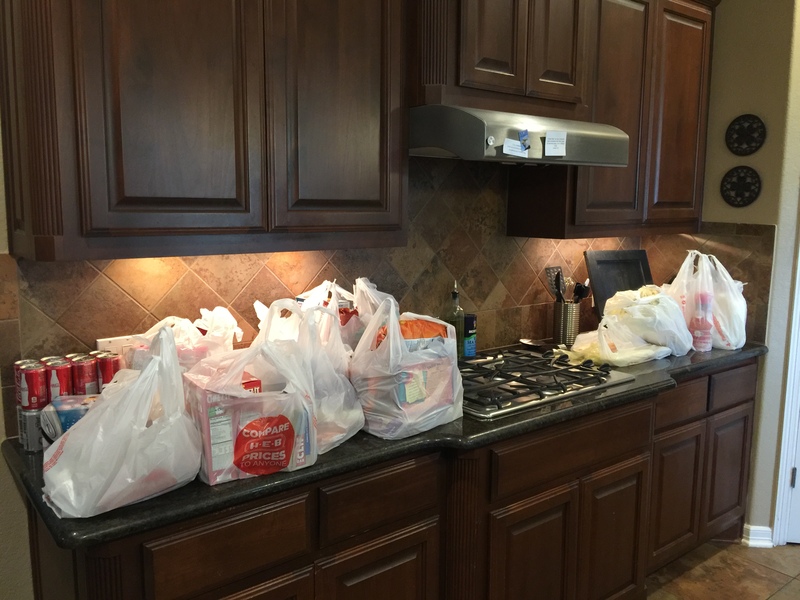 The initial order from my smartphone took a little bit of time to familiarize myself with the app and find all the items I needed – this was a complete restock of our groceries. I was able to pick a delivery window that worked for me the next day and was done. The next morning, I received a text from my personal shopper, David, that he had started shopping. Within an hour, he was texting that he was on his way to deliver our groceries. David carried all our groceries into our kitchen, chatting about some of the selections he had made. And the best part? I selected a delivery for when both my teenagers were home, so guess who put all the groceries away? Score! What follows is my more in-depth review of Shipt to answer any questions you may have. And look for the terrific savings they have for their launch in the Austin area! With Shipt, you can easily order your groceries from your smartphone from anywhere – even driving down the road in Oklahoma. If you are just too busy to make it to the store, you can easily pull out your phone and shop & schedule your delivery virtually anywhere you are. I can see myself standing right in my pantry to order. Pressed for time? All orders can be scheduled and delivered within the next hour (in most cases). Shipt offers unlimited deliveries with their $99 membership fee for all orders over $35. If you need just a few items that you know won’t total up to $35, throw in some toilet paper, paper towels, or other household items that you can never have enough of. I know my initial shop took longer than I would have liked to have spent, but that was familiarizing myself with the app. I love the feature that I can easily go back & bring up my past shopping trips for quick & easy re-orders (“Buy Again”). My biggest concern was that I would not be able to find all the items that I want in the app. And that did happen. But I was able to create a Special Request for the Yoplait Boston Creme Pie yogurt my daughter loves. Easy. I know some of you out there like to pick your own produce, but you can feel comfortable knowing that the Shipt shoppers have been trained in proper produce selection. But you can always write a note with your produce requests too. For example, I wrote a note under bananas that we preferred “5 slightly green bananas and 2 ripe bananas”. And I got exactly that. In fact, in speaking with our shopper, he said they like to get the notes on the items so they know they are showing for exactly what you want. Another example of this was with my pork chops. With meat, you select by the pound. Not knowing how many pounds of pork chops would equal 5 chops, I just asked for “5 thick pork chops” in the notes. For me, Shipt will be a really nice feature to use for my weekly shopping. I estimate that it takes me a good 3 hours to do the whole chore – from list making to putting the groceries away. That is 3 hours a week, 12 hours a month that I will be able to get more work done, allowing me to finish my workday sooner and be ready when my youngest steps off the bus. That is a huge savings for me. If you sign up with Shipt before August 3, you will get $25 in groceries. Click here to redeem that offer. Disclosure: This is a collaborative post with Shipt but all opinions are my own. Thanks for helping support new businesses like this.